Help Save the Basin with an Action Station Donation! 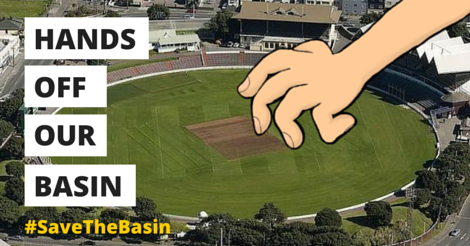 Contribute to Action Station’s fundraiser for Save the Basin! The High Court hearing of the Transport Agency’s appeal against the Basin Reserve flyover decision begins on Monday 20 July. Save the Basin will be represented at the hearing by Matthew Palmer QC, opposing NZTA’s case, and we are in the final stages of fundraising for our legal representation. That’s why we’re delighted that Action Station has come on board to help us reach our fundraising target. They will be presenting us with a cheque on July 31, when the Action Station campaign ends, so please contribute to help make that cheque as large as possible! It’s also possible to donate via mail, Internet banking and our Givealittle campaign page.